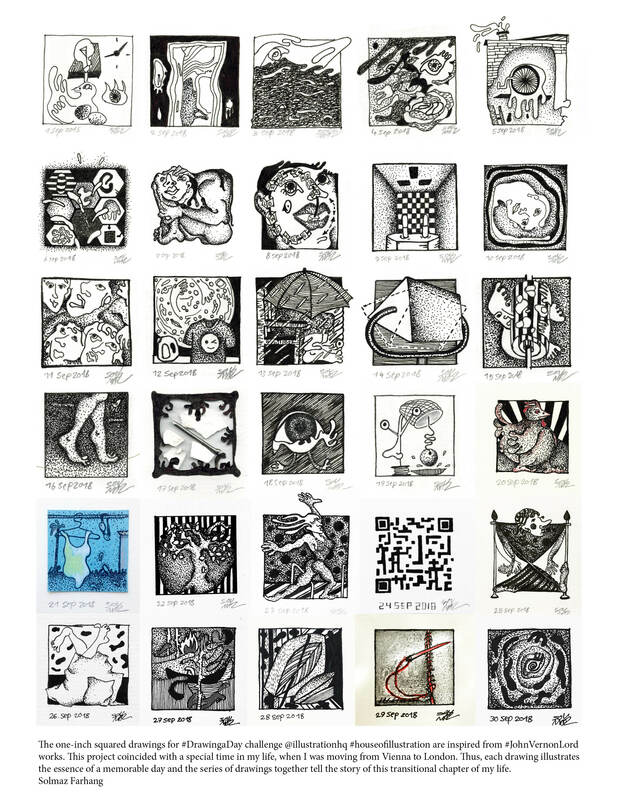 The one-inch squared drawings for #DrawingaDay challenge @illustrationhq #houseofillustration are inspired from #JohnVernonLord works. This project coincided with a special time in my life, when I was moving from Vienna to London. Thus, each drawing illustrates the essence of a memorable day and the series of drawings together tell the story of this transitional chapter of my life.